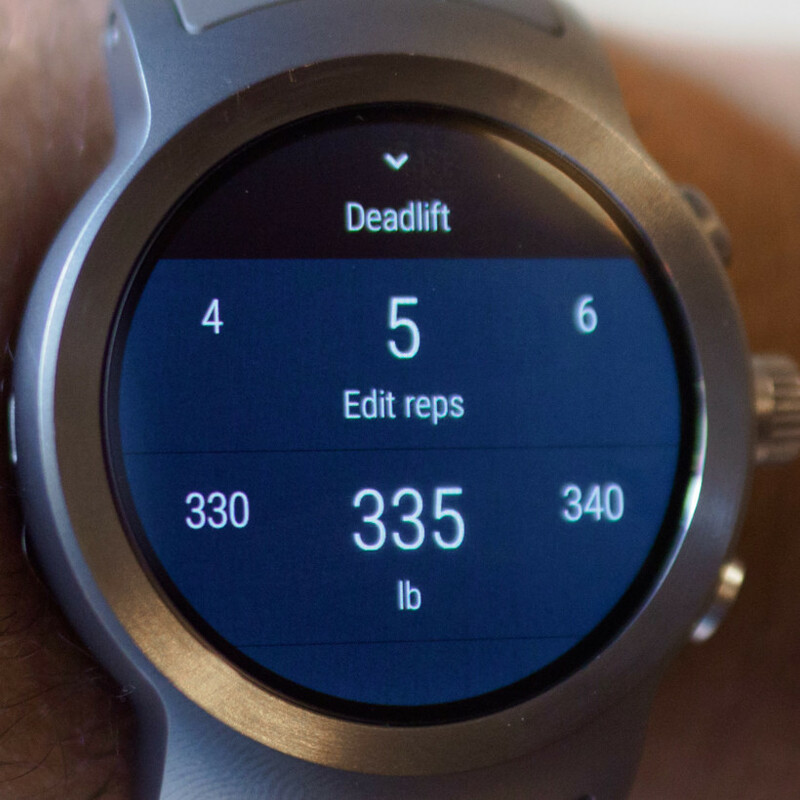 When Google radically redesigned Android Wear with version 2.0, it partnered with LG to show off the changes with LG Watch and Watch Sport. The latter was the more powerful model, with a heart rate sensor, GPS, and LTE capability. Still, it was met with somewhat mixed reviews thanks to some early bugs and performance quirks and its $350 price. But several months after launch, bugs fixed and street price lowered, it’s closer to achieving its original promise. First things first: The Watch Sport is chunky. If you need a slim watch than can fit under a tight sleeve cuff, this isn’t the device for you. You also have little room for customization because the device’s components extend into the wrist strap. You only get to choose between a blue and grey anodized casing. It’s definitely a chunky watch. But if you can live with those caveats, I actually think it’s one of the better-looking smartwatches around. A large, high-resolution display is flanked by small bezels. The gunmetal aluminum looks classy, a nice change of pace from the neon pastics of ‘sport’ smartwatches. The strap, albeit forever fixed, is comfortable and minimal. Yes, the watch is thick, but that’s a matter of taste. I’ve seen hipsters use analog watches about twice the size. Some people will be immediately turned off by the thickness, while I’m immediately turned off by the Apple Watch’s squircle-ness. Watches are fashion accessories, and your mileage may vary. If the design is up your alley, the watch itself is about as good as Android Wear gets – even if there isn’t exactly much great competition. Unlike some older devices, performance has been pretty much impeccable. It consistently recognizes my voice and apps launch quickly. The display is one of the best I’ve seen on a smart watch. It’s a good size with vibrant colors and solid daylight visibility. It’s also large enough that typing on the tiny keyboard is a surprisingly decent experience (even if you look a little ridiculous doing it). I really like the combination of hardware buttons too. The crown makes scrolling through notifications easy while on the move or working out. The two shortcut buttons default to launching fitness tracking and Android Pay, and having them there made me use those features more often than I might have otherwise. Speaking of fitness tracking, I’m happy to report the LG Watch does a pretty bang-up job. 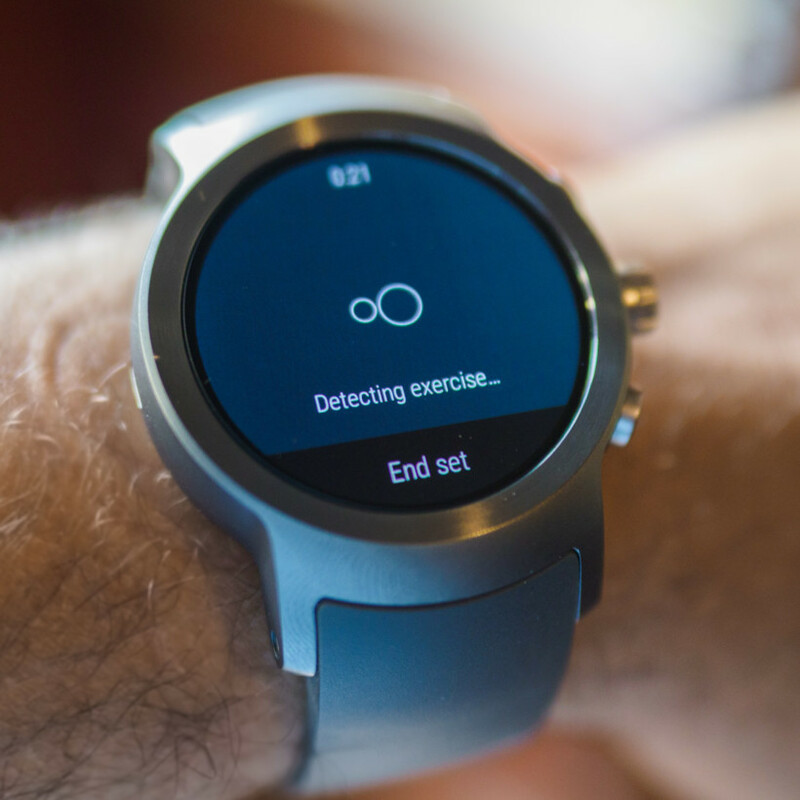 Like many smartwatches, it records your heart rate every few minutes to keep track of your daily calorie burn, but you can launch the Google Fit app for more detailed records. I found the heart rate sensor did an excellent job compared to my own counting. But there are plenty of devices that do a good job of tracking heart rate nowadays. I spend a lot more time strength-training than doing cardio, so it’s refreshing to find a watch that’s actually useful for weightlifters. The Fit app has a strength training mode that automatically detects the exercise you’re doing, as well as the number of reps. To my surprise, it’s actually really good. Though it occasionally made mistakes – it once thought my Bench Press was a Bent-over Row – it was more often right. It’s also very easy to change it to the correct exercise, as it gives you a list of best guesses, and the correct one usually isn’t very far behind. The same goes for the reps, and it was never more than one repetition off in three weeks of testing. The watch asks you to confirm your weights, and helps you keep track of your rest intervals, which has helped me be a lot more consistent than usual. The device packed with a ton of other features. There’s NFC for Android Pay, which worked the same as on a smartphone, and GPS for tracking your runs, though it can also simply read that from your phone. It also has LTE, but that’s not a feature that I particularly cared much about. You can take voice calls from the watch and access features without your phone, but it drains additional battery. There also just aren’t enough apps on Android Wear yet for me to really love the phone-free life, unless you only care about text messages, fitness and calls. Battery life is decidedly average. Like most other Android Wear watches, it means a little under two days of use. LTE and GPS will drain the battery more quickly, but I never managed to drain the watch before I got home to charge it. As you charge overnight, you’ll be fine – it’s just not a good choice if you care about sleep tracking. You can charge it during the day in about an hour if you’d rather take that approach. It’s worth reiterating the LG Watch Sport isn’t for everyone. Years after the Pebble and Apple Watch, smartwatches are just barely entering the mainstream. They’re not must-have gadgets pundits predicted, but rather occasionally useful accessories like any other. Basically, you either want a smartwatch or you don’t care at all. If you’re in the former camp, it’s little amazing to see how much can be packed into a device this size. $350 is a lot to ask for, and the size automatically rules out some potential users, but the LG Watch Sport is one of the best showcases of Android Wear yet.